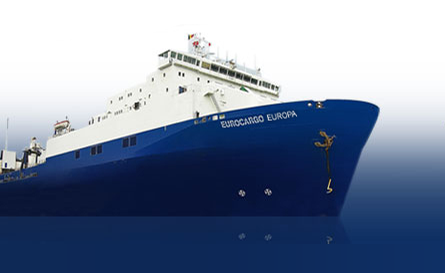 Malta Motorways of the Sea Limited was incorporated on the 25th November 2005, a Limited Liability Company under the Malta Merchant Shipping Act. The Registered office of the Company is located at 21/22, St. Barbara Bastion, Valletta, Malta. The Authorised and Issued Capital of the Company is Sixty six Million Euros. 39,600,000 Ordinary Shares of one Euro each, 100% fully paid up. 26,400,000 Ordinary Shares of one Euro each, 100% fully paid up. Malta Motorways of the Sea is also a member of the Malta International Shipping Council, whereby Dr Emanuele Grimaldi is the Vice President of the Council. Malta Motorways of the Sea has committed itself to support the training of Maltese cadets in the process of making them young officers to be employed on the vessels sailing under the flag of Malta Motorways of the Sea and other companies of the Grimaldi Group. In this respect the company has entered a permanent co-operation agreement with the Malta College of Arts, Science and Technology (MCAST - Maritime Institute) under which as many as 10 young cadets are currently being trained onboard our ships. Once their sea time is over, they will return to college to complete their studies. Malta Motorways of the Sea is also one of the sponsoring partners of the Malta Federation of Industry whereby regular meetings are held with the Federation so as to keep abreast with the ever changing situations of the Industry. Copyright © 2014 Malta Motorways of the Sea LTD. All rights reserved.